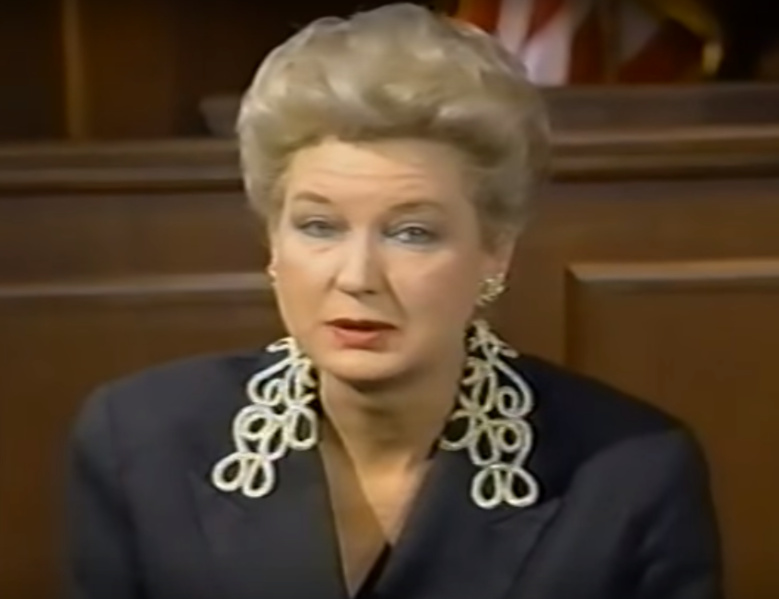 Circuit Judge Maryanne Trump Barry in 1992. Photo from Wikimedia Commons. A judicial ethics probe of President Donald Trump’s older sister, Circuit Judge Maryanne Trump Barry, has ended with her retirement from the federal judiciary. Four individuals had filed ethics complaints against Barry in October 2018 based on a New York Times report on “dubious tax schemes” by Donald Trump and his siblings, the New York Times reports. Barry, a judge on the Philadelphia-based 3rd U.S. Circuit Court of Appeals, went on senior inactive status after Trump’s inauguration. One of the complaints was filed by lawyer Scott Shuchart, who quit his job at the Department of Homeland Security because he believed the Trump administration’s family separation policy was unconstitutional. The Times had reported that Barry co-owned a family shell company that was set up to disguise millions of dollars in gifts from the siblings’ parents. The company was designated as a purchasing agent for buildings owned by the Trumps’ father, Fred Trump. The sham company had marked up purchases already made by Trump employees. That enabled the siblings to split the markup without paying gift or estate taxes that were, at the time, taxed at a higher rate than income, according to the Times. The Times had also reported that Fred Trump’s properties were undervalued, which lowered taxes when the siblings gained control of the buildings through a trust. Barry collected $182.5 million when the buildings were sold between 2004 and 2006, according to the Times. The article had reported that the statute of limitations would likely foreclose any criminal prosecution, but there is no time limit on civil fines for tax fraud. Barry, 82, will be able to collect her judicial salary in retirement. She was appointed to a federal district court by President Ronald Reagan in 1983 and elevated to the 3rd Circuit by President Bill Clinton in 1999.